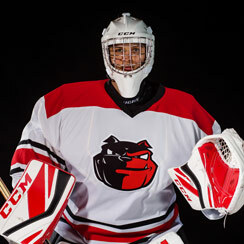 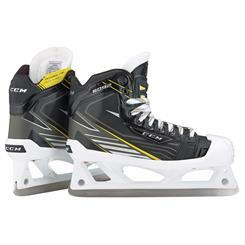 CCM Tacks Goalie Skates provide support, comfort, and performance to elevate your game. The Prolite GS Cowling is a lightweight cowling with an excellent attack angle for easier pushes and recovery, and the Power Form Texturized Composite boot provides maximum support and power transfer for side-to-side movements like T-pushes and butterfly slides. 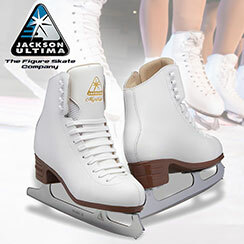 CCM's Multi-Density Memory Foam provides consistent comfort for your foot and the Prolite G Stainless Steel keeps its edge longer provide long term performance between sharpenings.